​This patented sound chamber utilizes the vibration of sound coupled with sacred geometry to create an energetic environment which facilitates Healing & stimulates evolutionary growth on all levels (physical, emotional, mental, Spiritual, and biological bodies). 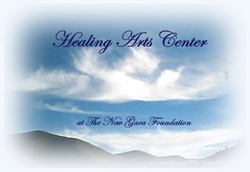 Sound therapy can also be used to open one to deeper meditations, angelic and Spirit Guide connections, etc. The Sound Chamber creates an energy field of resonating harmonies and frequencies which replicate the creative energies of the Universe/Creator. The Sound Chamber is angelically inspired and built by Tom Hunt. This service is pending at this time. ​How Can the Inner Dimensional Sound Chamber help you? The Inner Dimensional Sound Chamber is an incredible tool for Healing and evolution. As the Sound Chamber is pending for the Center at this time, I will simply direct you to its inventor to learn more. As this service is still under development, we have no pricing available for it yet.